Right after posting our early impressions piece, ATVG reached out to the studio behind Quantum Revenge – Realtech VR – and asked a question that seems to be concerning players across the Internet: Are the upgrades you purchase with your collected currency permanent or consumable? The response we received was a treasure trove of information, not just about weapon upgrades, but also explaining the studio’s inspiration for Quantum Revenge, challenges faced while developing it, and plans for the future of this excellent twin-stick shooter. We thought we’d post the “making of” information in a separate article in the near future, and serve up the most pressing “how-to” stuff right now. The game is certainly in need of some sort of guide, and Realtech VR will be addressing this by adding the information in-game via an upcoming update, but we wanted to share it now for early adopters who are already enjoying the game. So after hitting the page 2 button below, you’ll find an updated version of our bullet points from our early impressions piece, as well as Realtech’s extra info regarding the weapon upgrades and how the power bars work. It’s encouraging to see big-budget, cutting edge releases such as Horizon Zero Dawn trying to bleed every last drop of power from our latest console hardware. These sorts of triple A releases validate the spending of our hard-earned, and fulfil our hopes of seeing graphics and gameplay we’ve only ever fantasised about. It’s the ride we bought the ticket for. It’s equally as encouraging however, to see desire – and sometimes even success – still finding room for the old genres many of us grew up with: new 2D fighters are still being released, pixel art platformers, top-down RPGs, side-scrolling shooters, and more. They refuse to fade away, and are being embraced by new gamers much the same as music lovers don’t all of a sudden stop listening to the standards just because they’re old. One of the oldest gaming genres – the vertical shooter – has also made its way through the decades intact. 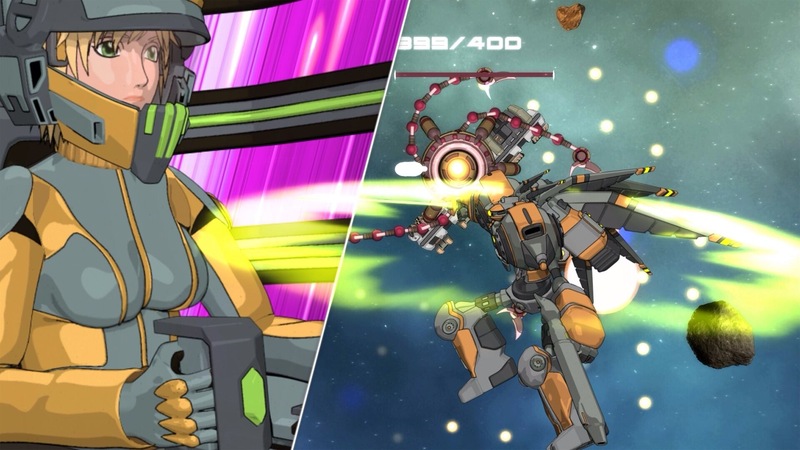 While developer 10tons may not have reinvented the wheel with Xenoraid, the excellent new spin the studio has added, coupled with it’s tight gameplay execution, has resulted in a vertical shooter that is at once recognisable in its genre, and refreshing for its newness. Hit page 2 for a closer look at why you should pony up and start shooting stuff.